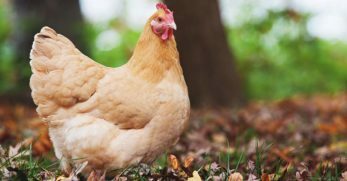 Cream Legbar Chickens are charming small birds with a big personality and several funny little quirks you will get know better the longer you own them. 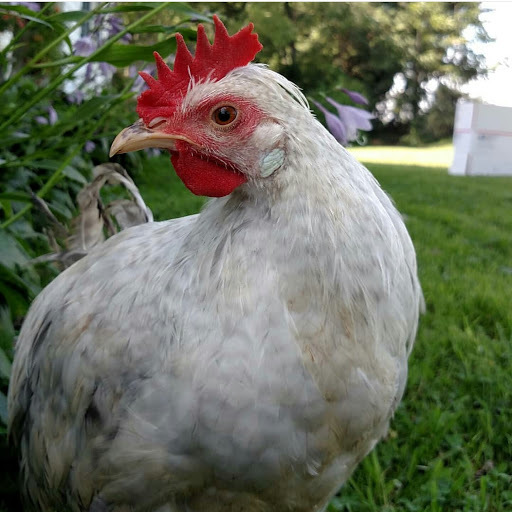 Sporting a fabulous crest on their heads and producing blue eggs, Cream Legbars are a joy to have running around the yard. Cream Legbars explore the coop with a fascinating curiosity that is quite amusing to observe. As an added bonus, Cream Legbar chicks can be sexed by the color of their down the day they hatch! 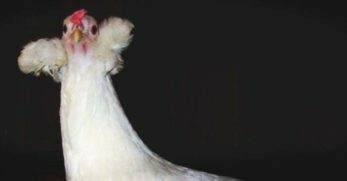 Cream Legbar chickens is a breed nearly 100 years old which came from Britain but is fairly new to the United States. 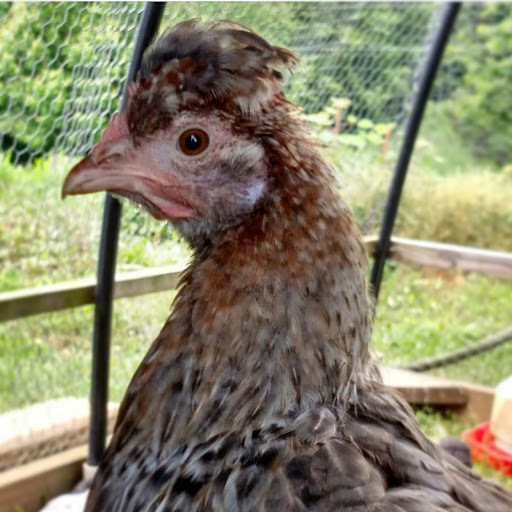 This breed was created using mainly Barred Plymouth Rocks and Brown Leghorns, but also some Araucana and Golden Campine genetics. The Cream Legbar inherited favorable traits from each of those breeds and made for a beautiful, productive blue egg layer. 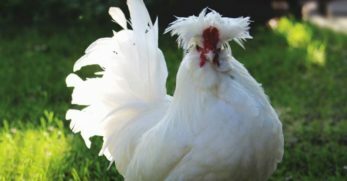 Cream Legbars are fairly small and active birds, roosters weigh about 7.5 pounds while their hens weigh around 6 pounds. These birds have fairly tight and close fitting feathers, so they appear to be small at first glance. Cream Legbars are not the friendliest birds you will ever meet. They are rather quick and wary of potentially harmful things. 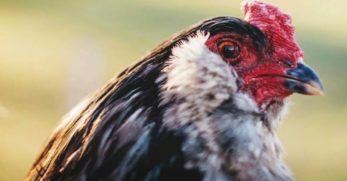 This makes them a wonderful bird for free ranging, as they are very active and alert foragers. 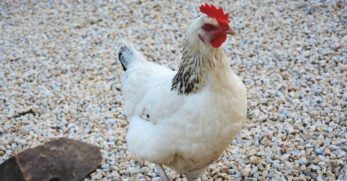 Cream Legbars are not likely to go broody, due to the Leghorn blood in their heritage. 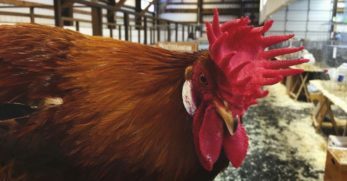 Since Cream Legbars have strong Leghorn genes, these birds are very productive layers, averaging about 180-200 eggs per year. 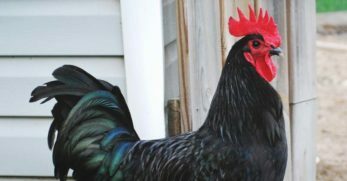 Imagine all the blue eggs you could have with just a couple Cream Legbar hens in your flock! One trait that sets Cream Legbars apart from other breeds is their autosexing. Upon hatching and drying off, one can distinguish females and male Cream Legbar chicks by the color of their down. Female chicks will have a very dark and distinct stripe down their back that makes them look a bit like a chipmunk. Male chicks will look similar but overall the coloration will be a bit faded and washed out looking. Sometimes poor quality Cream Legbars will be difficult to autosex. 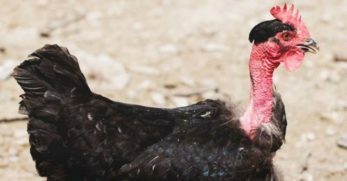 Since autosexing is such a defining characteristic, there are specific standards in place for the appearance of chicks upon hatching. Cream Legbars are fairly low maintenance when it comes to feeding them. They love their laying feed just as much as they love foraging. 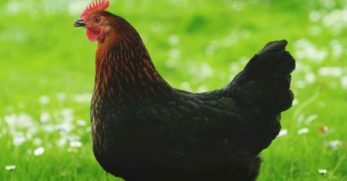 You may find them especially cost efficient to keep fed, especially during months where they have access to plenty of grass and areas to find bugs. Always make sure to supplement extra protein during a molt to ensure healthy growth of new feathers. 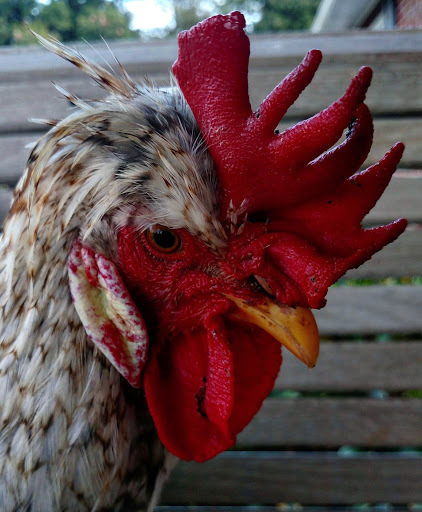 Cream Legbars are not very large birds, so they do not require more than the recommended space in the coop and run. 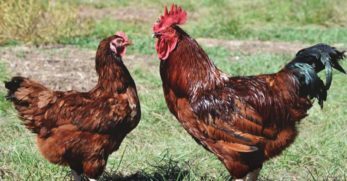 The recommended allotment per bird is 2-3 square feet per bird in the coop and 8-10 square feet per bird in the run. 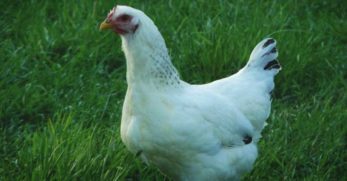 Despite the fact Cream Legbars are very active and do well foraging, they can also adapt well to an enclosed chicken run. Cream Legbars are not especially prone to many health issues. 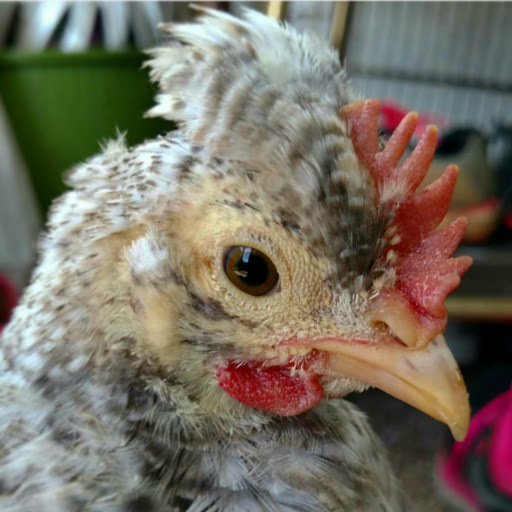 I recommend keeping an eye on their crest feathers from time to time because external parasites such as mites and lice can sometimes inhabit them. There are several products on the market for prevention and treatment of mites and lice if you do discover these unwanted little bugs. 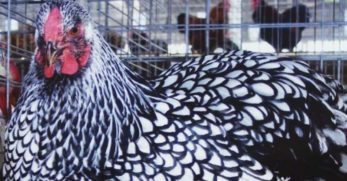 Breeding and selling Cream Legbar hatching eggs and chicks can be a profitable little niche. Cream Legbars are a very rare breed and many people will be willing to pay well for good quality Cream Legbars. Ameraucanas make a nice alternative to Cream Legbars in a few different areas. Ameraucanas lay beautiful blue eggs just like Cream Legbars. Instead of sporting a dashing crest, Ameraucanas have an adorable muff and beard. Ameraucanas are small birds with excellent foraging abilities just like Cream Legbars. I have raised this breed and loved them, I definitely recommend Ameraucanas. 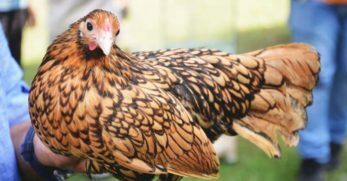 Bielefelders are a beautiful breed of chicken from Germany. These birds are very similar in appearance to Cream Legbars, though Bielefelders are a bit larger in comparison. Bielefelders lay a large brown egg. 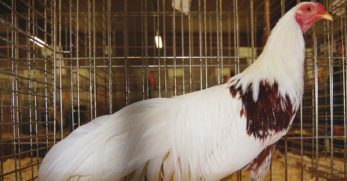 This breed is also an autosexing breed, so if you’re looking for an autosexing breed without some of the Cream Legbars traits, you might be interested in Bielefelders. 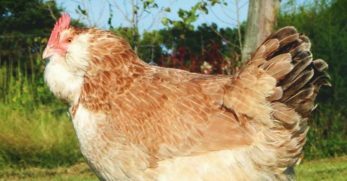 Polish chickens are also small like Cream Legbars, and if you liked the crest on the Cream Legbars, you’ll love the topknot on these birds. 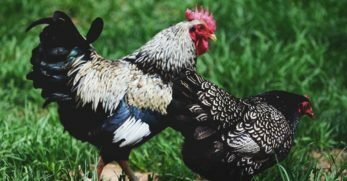 This beautiful breed comes in many different beautiful color variations and add a beautiful style and flair to your flock. 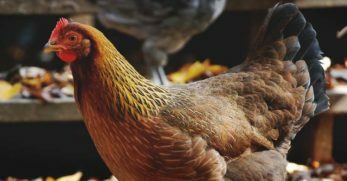 In 1952, someone took a flock of 7 Cream Legbar hens and gave them optimum lighting, feed and ranging conditions and monitored them closely. 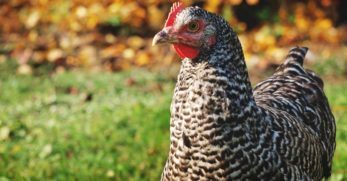 On average, each hen laid about 260 eggs over the whole year. There is a newer variation of Cream Legbars called Opal Legbars. This stunning breed appears lavender and they have similar characteristics to Cream Legbars. 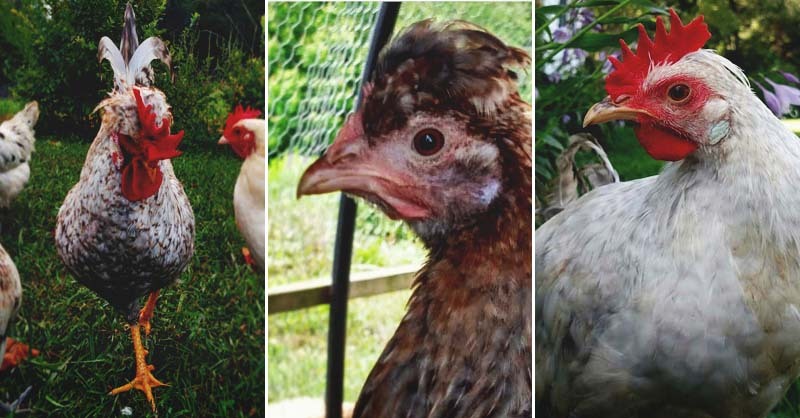 This has been a beautiful breed to raise, I love the quirky personalities and blue eggs that Cream Legbars produce and I love seeing them all happily free ranging. I don’t think you’ll regret adding them to your flock!